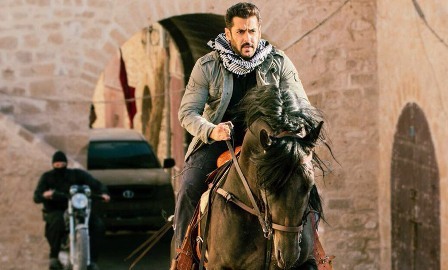 Zinda Hai Song Lyrics from The Tiger Zinda Hai: This is a title song from Bollywood movie Tiger Zinda Hai, sung by Sukhwinder Singh featuring a rap by Raftaar. The song has music direction of Vishal-Shekhar which uses the background score composer Julius Packium’s “Tiger Theme” in it. The lyrics of the song are penned by Irshad Kamil and rap lyrics penned by Raftaar.